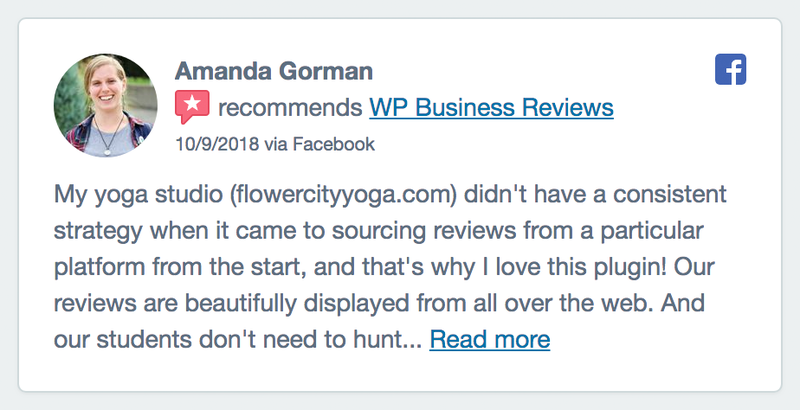 WP Business Reviews version 1.2 is available now with some exciting new features, most importantly: Facebook Recommendations. Each new release of WP Business Reviews is focused on delivering on at least one major feature. Our newest release is all about Facebook Recommendations. 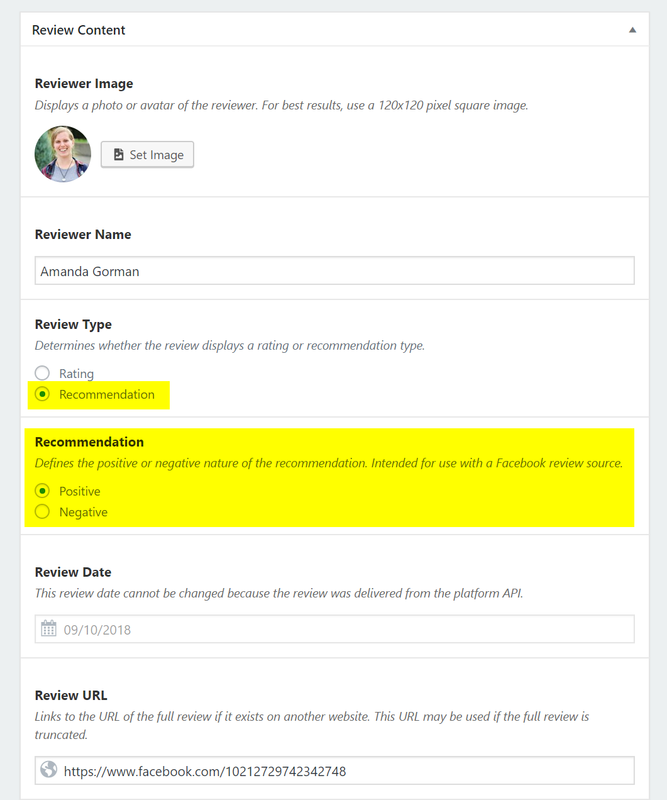 We previously wrote about Facebook’s shift away from “reviews” to “recommendations” and what that means for WP Business Reviews. Now we’re happy to announce that version 1.2 makes those updates a reality. 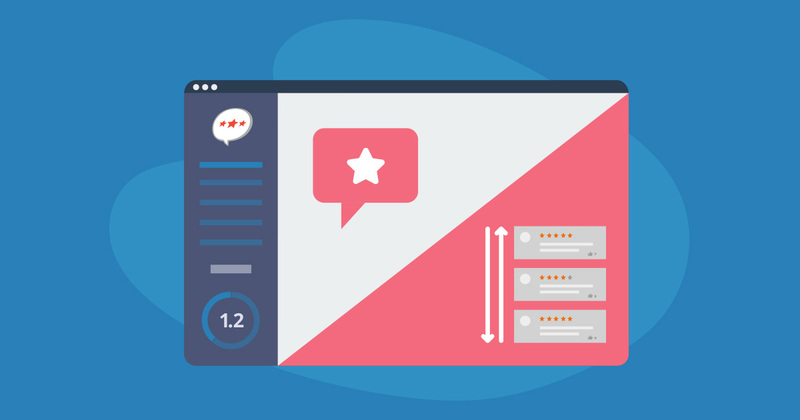 Supporting Recommendations meant adding the ability to display different types of reviews. This adds complexity to how reviews are generally handled in WP Business Reviews. While implementing this new structure, we ensured though that the interface remains as intuitive as ever. The single review details screen, with the new recommendations review type and recommendations settings highlighted. A big part of this update also impacted a feature we had already been planning on: sorting reviews. How do you sort reviews that don’t have rating!? That’s part of the challenge of Facebook Recommendations. But we’ve also been considering other types of reviews from other platforms that don’t use ratings at all. So part of building out how to sort reviews meant planning for reviews that might not have ratings at all. The great part about the “Order” feature is the inclusion of the “Menu Order” option. This allows plugins like “Intuitive Custom Post Order” to dictate how single reviews are custom ordered within your Collections. What’s Coming Next in Version 1.3? Version 1.3 will be focused primarily on pulling in new reviews from your social sources automatically. Google and Yelp specifically have limits to how many reviews you can pull in over their API — 3 for Yelp, 5 for Google. WP Business Reviews will monitor these platforms and automatically add new reviews as they become available. Essentially, as a WP Business Reviews user, we want you to be able to have your cake and eat it too — social reviews, that are automatically updated as well. Add support for Facebook recommendations. This new review type does not include a star rating and instead displays a positive or negative recommendation. 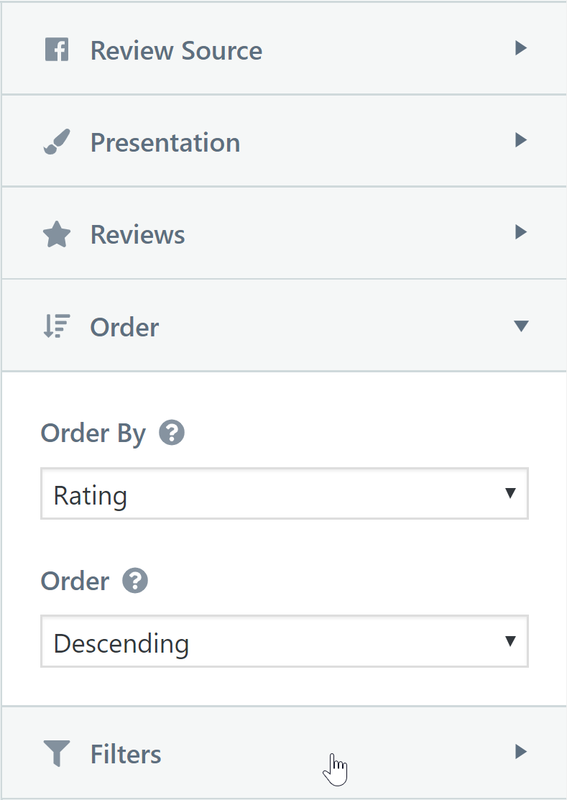 Add new Order settings for ordering reviews by review date, rating, post ID, or menu order. Allow reviews to be sorted by rating or review date in the Reviews list table. Add System Info to the admin submenu so that users can provide context about their environment when requesting support. Add background database updater which allows users to initiate a database update and navigate away while it completes. 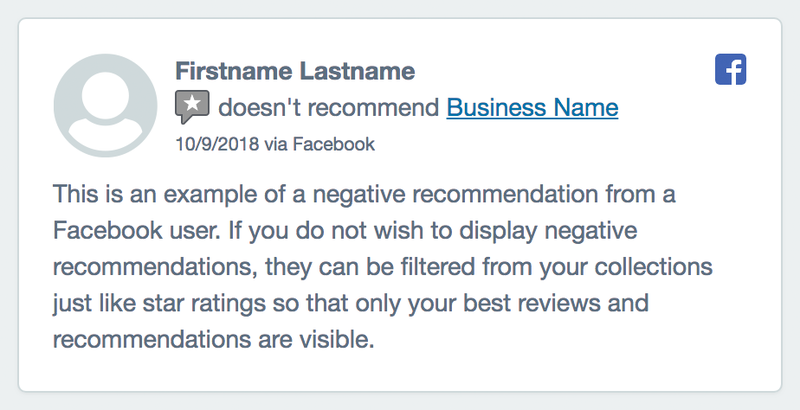 Display Facebook recommendations in collections by default. Recommendations created prior to v1.2.0 will appear as Unrated and need to be manually updated in the single review editor. Order all collections by review date from newest to oldest by default. This setting may be changed in the Order settings of the collection. Base the Minimum Rating setting on a post meta key wpbr_rating_normal instead of terms in the wpbr_ratingtaxonomy. Include unrated reviews in collections by default. These reviews may be excluded using the Minimum Rating setting. Ensure Facebook reviewer image URLs do not expire. The new URLs will always point to the current profile picture of the user. Ensure all collections retrieve reviews in reverse chronological order by default. Prevent fatal error caused by certain WordPress date formats such as j. F Y when saving a single review. Prevent hidden taxonomies such as wpbr_platform from getting indexed by search engines. Improve styling of Dark theme to increase contrast of text and links. Prevent zero-star ratings from being displayed in collections. Instead unrated reviews will omit the rating altogether. Removed highlighted preview that appears when a filter is changed. Instead, a notice appears to indicate the collection must be saved and refreshed. If you haven’t already updated, do so today! If you are still looking for a way to embed your social reviews on your website, or display any of your offline reviews in a powerful, beautiful, and flexible way, buy WP Business Reviews today. Stay up to date when we add new features to WP Business Reviews by signing up for our mailing list!